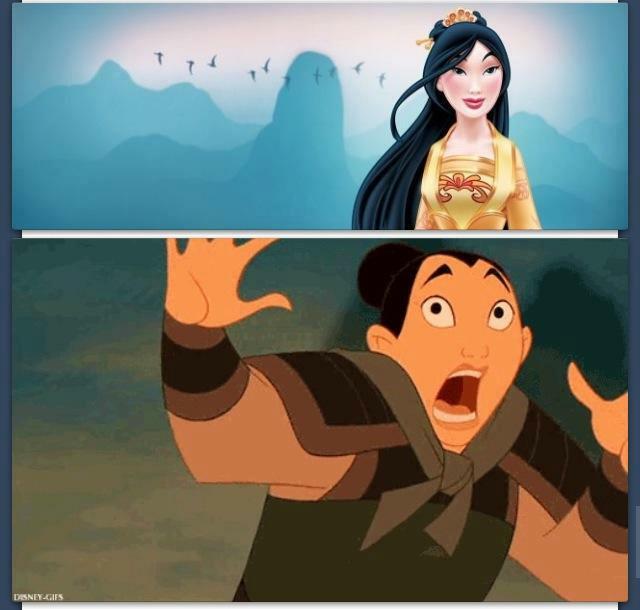 Mulan's response to her new look. Mulan's response to her new look. Wallpaper and background images in the Disney Princess club tagged: disney princess mulan. Lol, I love the dress though.